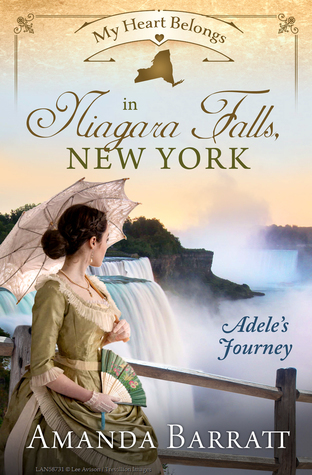 If you have been following the series of "My Heart Belongs", don't miss Niagara Falls New York. This story is a charming historical fiction that will keep you on the edge of your seat the entire time. This book has something for everyone between suspense, romance and faith. I was blown away by this book in the end. I feel like if I say too much, I will give one of the most powerful moments of this book away. No spoilers here! However, I love how Ms. Barratt writes with the characters continuing to grow one page at a time. Both Drew and Adele felt real to me. You have two people who could not be completely more opposite from one another or from more opposite families for that matter, but in the end they are required to make sacrifices that are life alternating and personally I think for the better. Oh, I just didn't see the ending of the story. I'm still hung up on it and the fact that this writing is so tight, is remarkable with the depth of this story. You won't be able to put it down! I would give this book more than 5 stars if possible and I look forward to reading more from Amanda.